Those of you who have read the Inspector Andy Horton crime novels will know that I have a fascination for missing persons. In the thirteen crime novels so far published (2017) Andy Horton is searching for the truth behind the disappearance of his mother, Jennifer, over thirty years ago. He was told as a child that she had simply abandoned him at the age of ten and run off with a lover. In DI Andy Horton number 3, The Suffocating Sea, Horton discovers that isn’t true and that over the years many people have lied to him. Her disappearance was only cursorily investigated, quickly forgotten and buried. There are people who clearly want it to remain that way. In each crime novel from The Suffocating Sea onward, Horton unearths clues which lead him edging closer to finding out what really happened after she vanished on a foggy November night. Horton’s CID patch is Portsmouth, where he also lives on board a small boat in a marina, since his estrangement from his wife, Catherine. The University of Portsmouth has a Centre for the Study of Missing Persons (CSMP). 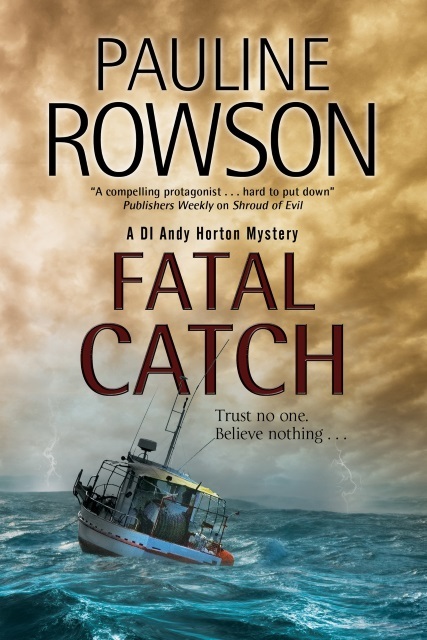 In Fatal Catch, number 12 in the Horton series, a Dr Carolyn Grantham shows up claiming to be attached to the University of Portsmouth Centre for the Study of Missing Persons researching into missing persons cases. She wants background information about Jennifer from Horton. He is loath to give it, not only because he finds it hard to talk about his feelings surrounding Jennifer’s disappearance and his time spent in care, but because he is also not sure who he can trust. So here is some background on the missing persons units and some facts I uncovered during my research. The University of Portsmouth Centre for the Study of Missing Persons (CSMP) provides a knowledge resource for researchers and other interested parties to communicate and exchange information about missing persons with over 500 references providing a central resource of all the major publications on missing persons. They provide all the latest information in the field of missing persons not only for students and academics but also for the police and relatives of someone who is missing. The National Crime Agency UK Missing Persons Bureau is the UK national and international point of contact for all missing person and unidentified body investigations. They provide support and advice to police forces in order to resolve cases and act as a hub for the exchange of information and expertise in this area. They also maintain the national database of missing and unidentified records. On their website there is a search facility for some of the unidentified cases to see if anyone can help establish identity. Each year The National Crime Agency Missing Persons Bureau record around 120 unidentified cases, and has about 1,200 open unidentified cases on their database. 129,046 individuals were reported missing in the UK. 52% of missing incidents relate to males. The main age group likely to go missing are 15-17years who account for 35% of the data received. 23 police forces have provided data for incidents where the individual is missing from care, of the data supplied 87% were related to children. 72% of incidents were graded as low risk, with only 11% graded high risk. Just over a third of the incidents were attributable to repeat missing. Plenty of information there and food for thought.